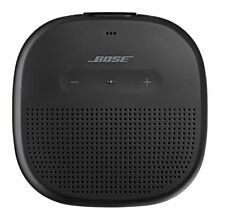 Bose Soundwear Companion Wireless Wearable Speaker Black New!!! Product Code QuietComfort35 II SLV. Demanding workouts demand SoundSport® Free wireless headphones. They’re sweat and weather resistant, too. Take calls using the right earbud. Designed to maximize the strength and reliability of a wireless signal. 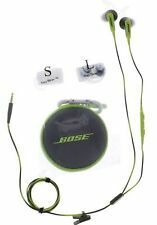 ·Compatible with Bose Quiet Comfort QC15 QC2 AE2 AE2I Headphones. We believe in communication. ·Perfect Fit. A soft silicone material and unique shape provide a secure fit that stays put and feels good. With performance like this, the only challenge left is your workout. 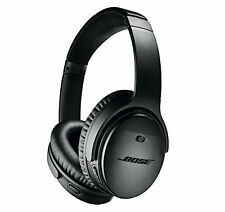 Bose QuietControl 30 Neckband Wireless Headphones - Black. Work perfectly Condition is Used. Shipped with USPS Priority Mail. Trending at $128.49eBay determines this price through a machine learned model of the product's sale prices within the last 90 days. Original, pre-owned, OEM Bose QC35 Black carrying case. Fully cleaned and ready for your headphones! 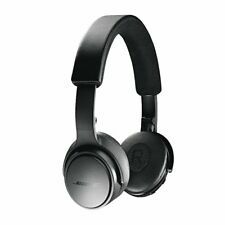 These also fit the original QC25 headphones and includes a pouch sewn inside. Bose QuietComfort 35 Black carrying case. Used in working condition. The buttons on the control panel are lose and do not work well. Volume can still be controlled by your phone. Power button rubber coating is loose and requires extra pressure to turn on and off. 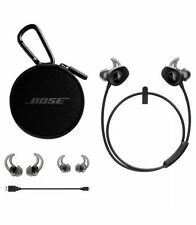 A high-quality audio experience, consistently balanced at any volume, thanks to Bose active EQ Wireless convenience, with easy Bluetooth and NFC pairing aided by voice prompts.Quick Charging Times 15 Minutes for 1 Hour. Recharge Time 2 Hours Exclusive Stay Hear tips keep the headphones comfortably in place during workouts Sweat and weather resistance for reliability while exercising Up to 6 hours battery life per charge. SoundSport wireless headphones do not have noise cancelling technology. Trending at $60.65eBay determines this price through a machine learned model of the product's sale prices within the last 90 days. 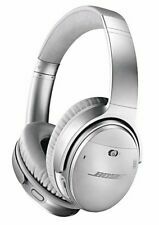 Bose AE2i Over Ear Headphones. Condition is Used. Shipped with USPS Priority Mail. The wire is working but the volume up and down does not function. You can easily fix that by purchasing a replacement wire. 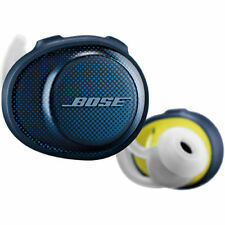 Bose AE2 AE2w Adapter Bluetooth - Original. New ListingBose SoundLink Bluetooth Speaker Wireless Blue - Great Condition!!! 5 out of 5 stars - Bose SoundLink Bluetooth Speaker Wireless Blue - Great Condition!!! 112 product ratings112 product ratings - Bose SoundLink Bluetooth Speaker Wireless Blue - Great Condition!!! Works great and looks clean and good as well. The earphones will work for both iPhone and Android Phones. Inline mic and remote for calls and music on selected Samsung and Android devices. Note: If sales season, bad weather.may be delayed. Key Feautures. Your music in deep, clear sound. 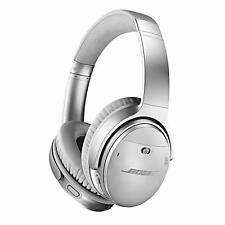 Beautiful set of Bose QC25 Headphones Noise Cancelling QuietComfort 25 Apple Bose Headset Good Condition is Used. This is a gorgeous used headset. Great bargain. Genuine authentic cable pulled from a broke pair. These are in great condition. Bose SoundSport Free Portable Charging Case - Black. Available in Black. 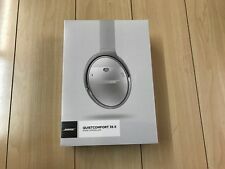 Bose SoundLink II Bluetooth Around‑Ear Headphone Black Please Read!! Demo unit with permanent wire attached. Does not work with the auxiliary cord. Bluetooth only. Right Ear Only, Condition is Used, Test Working Normal. Overview : Protect the body of your SoundLink Mini Bluetooth speaker with this rubberized case. Case is easily installed on the speaker. 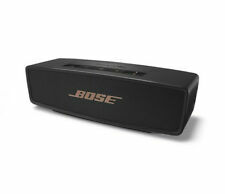 Case will fit both first and second generation of Soundlink Mini. Other Features: Active Noise Cancelling, Batteries Required, With Remote and Mic. Battery life: 16 hours.